I finally finished up my first cookbook and I just know you will all love it! Filled with basic baking recipes that will quickly become staples in your home, each recipe is scaled several different ways making it ideal for any sized family. time tested recipes that have been made over and over again here at The Farmhouse. Hello! I’m wondering if you have the granola bar recipe, which used to be on your old blog, in your new cookbook? I’ve used that recipe a million times and would love to have it if it’s in your cookbook. 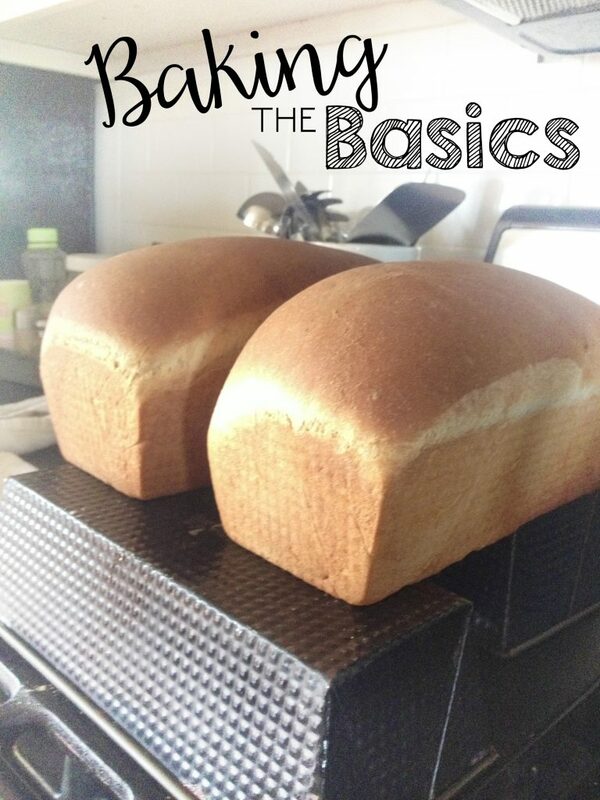 Yes, Baking the Basics is all baking. Bread, rolls, muffins, doughnuts, pancakes, waffles, etc.I will be releasing another cookbook, Dinner Bell, hopefully this year that will include our favorite meal recipes in it. I had purchased the cookbook and nothing came up. Maybe I did something wrong? You should have received an email with a downloadable link. Let me find your order and resend it for you! If you have any more problems email me at afarmhousefull(at)gmail(dot)com. Thanks for your support! Thank you so much and look forward to trying your recipes! So excited for this! Is it a PDF or hard copy that will be shipped out? Its and ebook so you get it immediately! I didn’t notice the cookbook had an expiration date. Things got crazy over here and didn’t download it in time. Would I be able to get another link? I just resent your email and renewed your download time. Let me know if you have any problems with it! Thanks for your purchase and have a very Merry Christmas! HI! I purchased this cookbook but did not see that the link had an expiration date. I missed it by 4 days, of course. Would it be possible to get a new link? I’m not sure how to contact you about that. Thanks! I just reissued it and resent your email. Let me know if you don’t receive it. Thanks for your order! Your cookbook looks really great. I hope to buy it soon. Looks like you put a lot of time and heart into it. Any way to see a preview of the names of the recipes or the pictures so I can see if it follows along with my taste? We actually loved Spelling workout and are using it again this year! We have used Rod and Staff before too, but like Spelling Workout even better. After using those three (R&S, Spelling Power and Spelling Workout) Spelling Workout is our favorite and it incorporates a vocabulary learning as well. I just saw your video this morning. I went to purchase your book and there was nowhere to put the coupon code in. Just wanted to let you know. Thanks! I was on the very first page (before checkout). If you haven’t purchased I be happy to give you a one time code to get the discount if you’d like or refund you the $3 if you’ve already paid. Let me know via email (AFarmhouseFUll-at-gmail-dot-com) and I will take care of it for you! THanks! Just got the baking book. Can’t wait to try. Thank you so much for discount. Every savings help.